The article looks at the hidden world below the French capital. Apparently there are more than 180 miles of underground tunnels, most of which are “blocked” to the public. Nevertheless, a group of folks known as “cataphiles” bring their boots and flashlights and slog through these dank and moldy caverns in search of adventure. Fascinating stuff and I suggest you pick up a copy (it looks much better in print than online). I definitely intend to head to Paris sometime in the near future and these tunnels rank near the top of my tourist list. I’m not sure why, but I’m fascinated with such underground intrigue. It just seems so mysterious. Of course, Paris is not the only city that houses some neat sites beneath the streets. 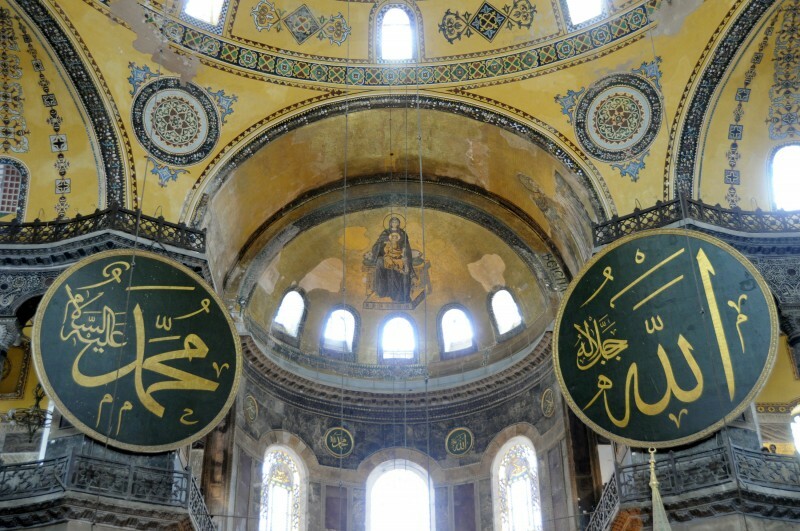 Before I went to Istanbul, I chatted with a friend who lived in the city and asked him where I should go. One of the first places he said was the cistern. 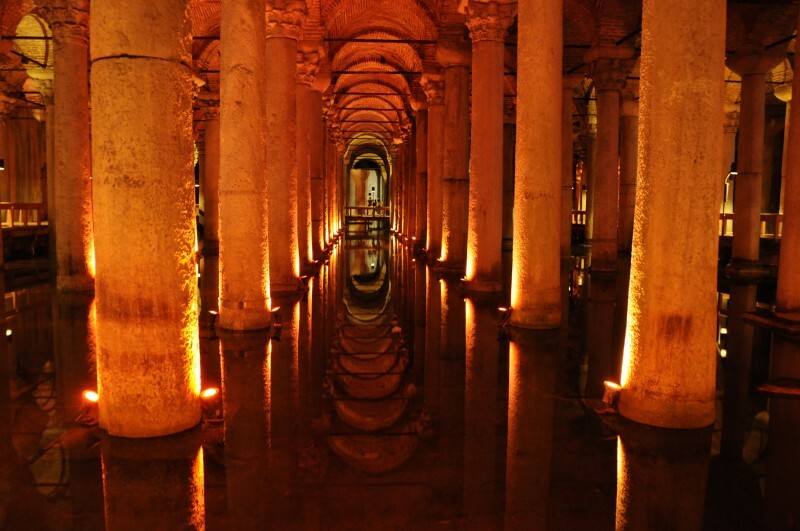 Like the other famous places in this Turkish city, the Basilica Cistern is more than a 1,000 years old. Emperor Justinianus I first built this giant underground reservoir in the mid-500s. It was used until after the Ottoman conquest in 1453. It’s a very eerie place. More than 300 nine-metre marble columns protrude from the ground, each lit with a red light. Carp quietly swim through the black water as drips from the ceiling fall on your shoulder. Having no tripod handy, photos were a challenge as it was too dark to take a decent handheld shot. So I turned the ISO up high, kneeled down on the wet platform and tried to grab as much colour as possible. A little fuzzy, but it works. Also, returning to Paris, the CBC Radio world affairs show Dispatches ran a piece about the French catacombs. You can listen to it here. I was reading the Ottawa Citizen this morning and I noticed this small brief on a recent bombing in the centre of Istanbul, Turkey. A suicide bomber blew himself up near a group of riot police in the busy Taksim Square area, injuring 32 people. Although no one has claimed responsibility for the attack, there is concern that it may be connected to the end of a ceasefire from the Kurdish separatist group the PKK. However, according to a report in the Turkish Daily News, members of this organization have denied their involvement in the incident and added that they would be extending their ceasefire until the next general election. One Kurdish representative commented that the perpetrators of the attack may have been intending to break any positive momentum for peace between Kurdish and Turkish security forces. My wife and I travelled to Istanbul as part of the final leg of our honeymoon last June. We flew in from Cappodocia and landed at a small airport on the Asian side of the city where we hopped on a bus and travelled across the bridge to Europe stopping at Taksim Square. I really had no idea where I was at this point. A couple of friends who joined us into the city directed us towards a transit stop and we parted ways from there. Taksim Square seemed busy and chaotic and I could hardly wait to get to our hotel, which we found more than an hour later in the tourist centre of the old city after a trip down a funicular, a ride on a light rail train, and an unnecessarily long hike in the wrong direction. We returned to this area a couple days later sans heavy backpacks. 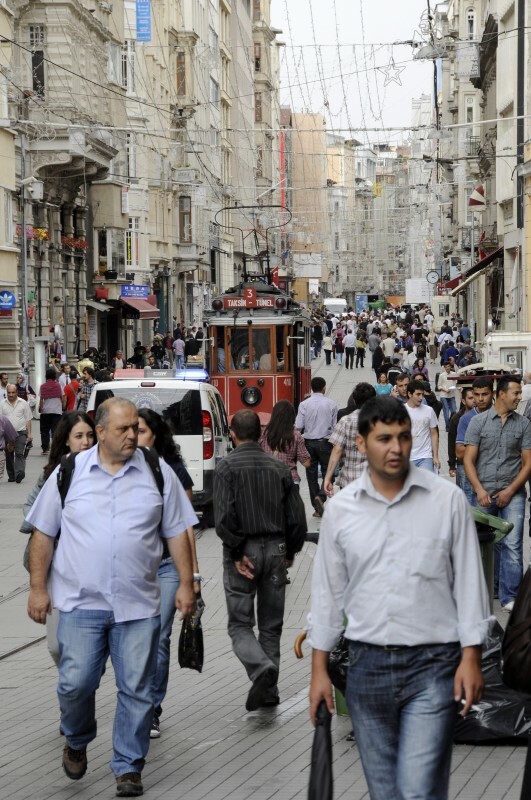 It lies at the end (or beginning I guess) of Istiklal Caddesi in the Beyoğlu district. This was one of my favourite areas in the city – a three-kilometre-long pedestrian walkway lined with shops and restaurants and a single trolley car running up the centre. It was busy when we got there early in the afternoon and seemed to fill up even more as the day went on. With the amount of people strolling this delightful avenue, it is scary to think that less than a kilometre from where this photo was taken someone decided to blow himself up a few months later.